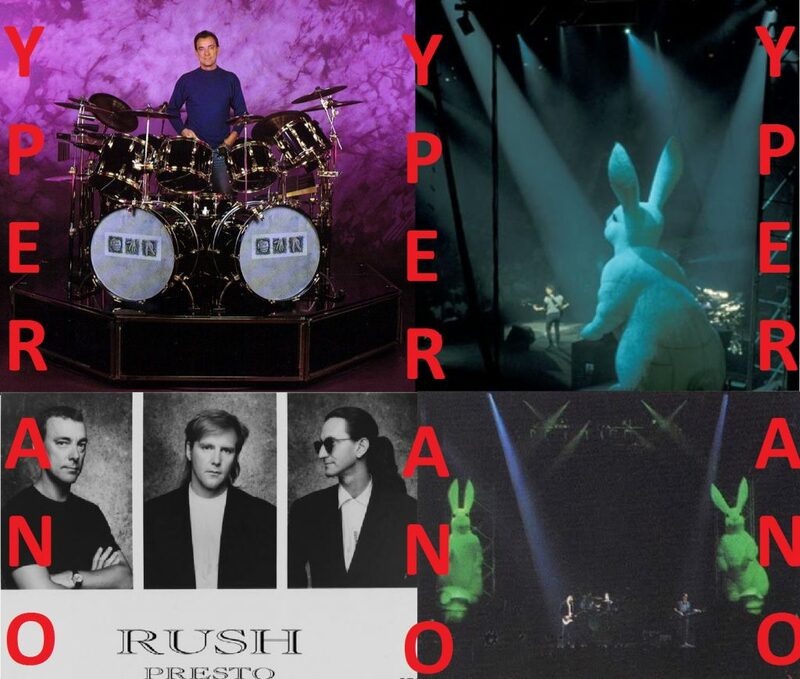 1990 RUSH Presto 1990 (Original 1999 US 12″ x 12″ 28-page tour programme features superb pictures of the band on stage discography and superb rabbits picture cover – in fantastic MINT condition!). Presto, was again a shift in direction for the trio, this time going for a more back to the basics approach. For whatever reason, the band decided to place the keyboard racks in the garage and opted for a style that reminded them that yes, Alex Lifeson indeed played guitars and was a pretty snappy guitarist to boot. The band takes the listener through a maze of moods and tempos throughout, from the moodiness of “The Pass” to a more fanciful approach on the title track. Presto is the thirteenth studio album by the Canadian rock band Rush, released in 1989. The album was recorded at Le Studio in Morin Heights and at McClear Place in Toronto. It was the band first album with their new label Atlantic Records which the band signed to in early 1989 after deciding not to renew its contract with Mercury/PolyGram Records. Intended to be co-produced with Peter Collins, who had produced the previous two studio albums, Power Windows and Hold Your Fire, he reluctantly declined the offer for personal reasons. An objective ear was found in producer Rupert Hine. All singles released from the album (“Show Don’t Tell”, “The Pass”, “Superconductor”) charted, with “Show Don’t Tell” hitting #1 on the Album Rock Tracks chart. The album itself was ranked #16 by Billboard, and sales placed Presto in gold status. The album is generally held by fans to have marked the beginning of a transition period, wherein the synthesizer-heavy songwriting of the 1980s began to give way to a more guitar-oriented sound in later releases. At the very least, synthesizers and sequencers are generally used in a more discreet fashion compared to previous records. Chain Lightning, “Scars”, “Anagram (for Mongo)” and Red Tide still feature keyboards as a prominent instrument, but other songs like Show Don’t Tell and Superconductor are more guitar-motivated. Additionally, “Available Light” and “Red Tide” represent some of the few Rush songs to contain significant piano usage. Bass lines continue to follow the usual Rush style, however, The Pass is driven heavily by bass guitar chords. In an interview in Canadian Musician, Geddy Lee explained: “We wanted [Presto] to be more of a singer’s album, and I think you’ll notice that the arrangements musically support the vocal[s]. . . . Neil’s lyrics to me are a lot more heartfelt. Presently, they’re experience oriented. I think they deal with living . . . This album was a real reaction against technology in a sense. I was getting sick and tired of working with computers and synthesizers. Fortunately, so was [co-producer] Rupert [Hine]. . . . We made a pact to stay away from strings, pianos, and organs to stay away from digital technology. In the end, we couldn’t resist using them for colour.” “Scars” features a complex drum pattern in which both acoustic and electronic drums are utilized. The pattern was derived from a tribal rhythm Neil Peart experienced while on a bicycle tour of Africa (later chronicled in his first book, The Masked Rider: Cycling in West Africa). Peart has gone on to incorporate this pattern into his live drum solos. The song also features the use of a sequencer in place of, and often mistaken for, a bass guitar. 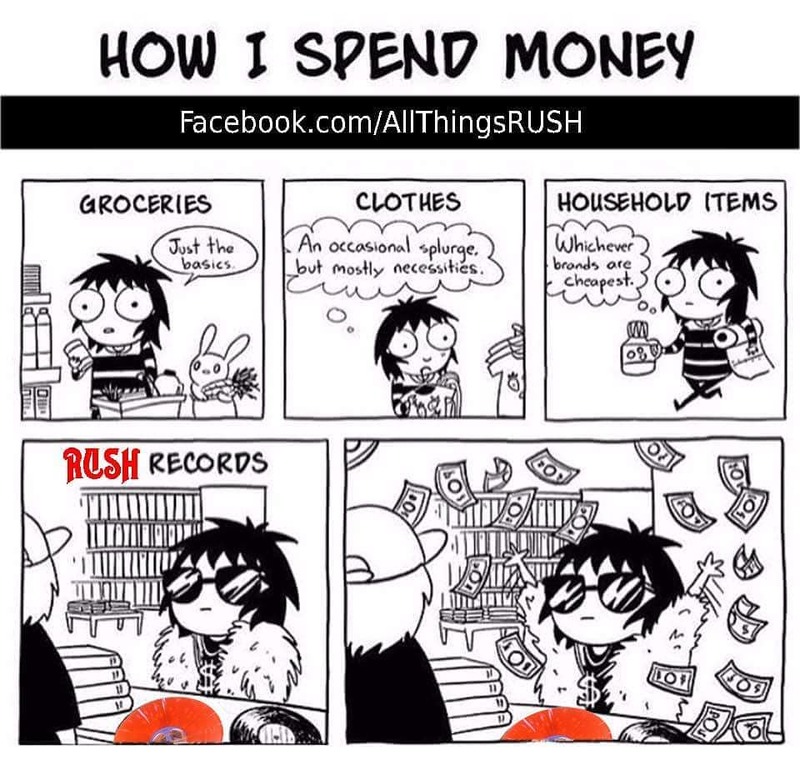 According to Geddy Lee during the Rush in Rio concert (as well as the recent “Box Set” episode on VH1 Classic), The Pass is one of the band’s favorite songs.